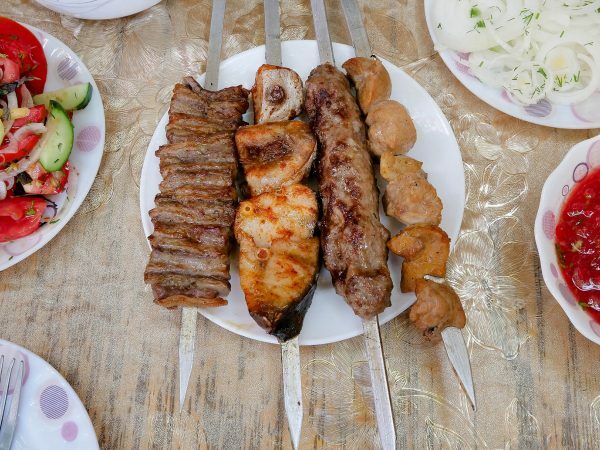 This is a guest post from Becki Robins who is on a mission to cook a meal from every nation on earth while blogging her recipes on Travel by Stove. That’s right, pretty awesome idea. 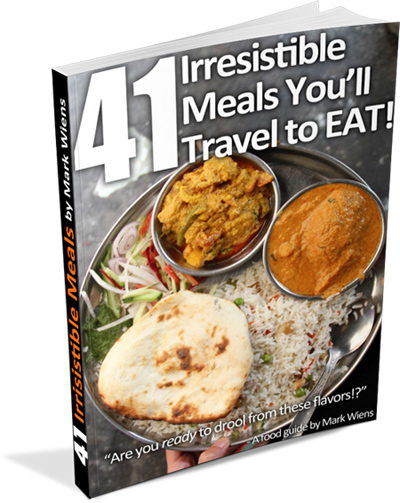 It’s a great way to experience the world through food from your own kitchen! She’s going to share two recipes with us today. Even if you’re stuck at home in an American kitchen, you can still bring great international food to your table. Thanks to the internet, “exotic” ingredients are much easier to find than they used to be, and if you live in a big city you can usually get everything you need at an international or gourmet grocer. You don’t have to hunt down hard-to-find ingredients to make an authentic recipe from another nation, though. Most countries offer at least a few recipes that use ingredients you can find at any major grocery chain. 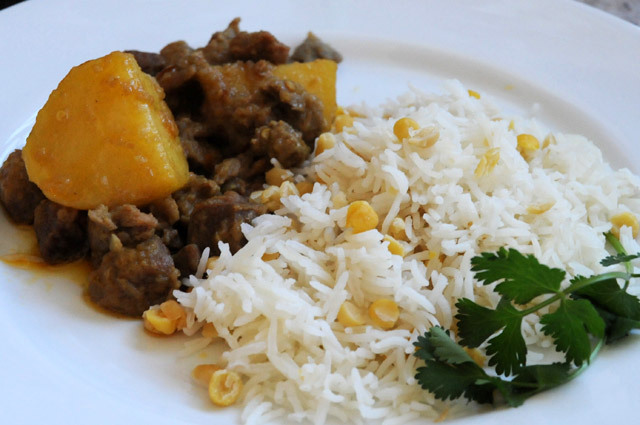 Here are two of my favorite international dishes, which I featured on my blog, Travel by Stove. Mix the turmeric with the salt and fish sauce and toss it with the duck. Put it in the fridge and let it marinade for 30 minutes. Put the onion, garlic and dried chilies in a food processor. Pulse until you have a smooth paste. Heat the oil over a hot flame and fry the potatoes until they are lightly browned on all sides. Now take them out of the oil and set them aside. Put the duck pieces into the same oil and lightly brown that, too. With a slotted spoon, take the duck out of the pan and set it aside. Put the onion paste into the oil and cook over medium heat, stirring frequently, until it turns a rich reddish brown color, which should take 15 to 20 minutes. Add the paprika and cook until fragrant. Return the duck and potatoes to the pan and add the water. Cover the pot and simmer for 45 to 60 minutes, stirring occasionally. The meat should be tender. 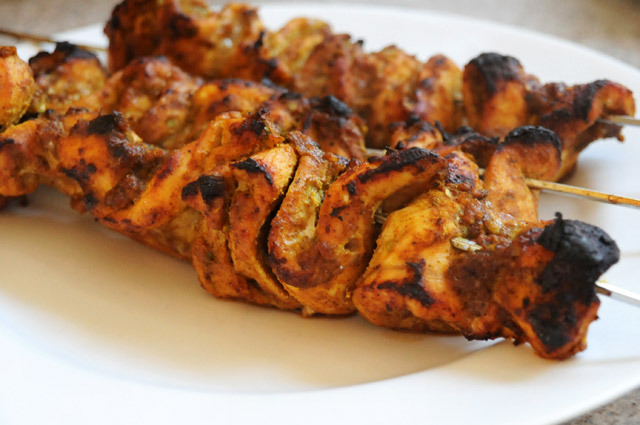 Place the chicken strips on skewers and pour the rest of the marinade over. Cook on a grill over low heat until the chicken is golden brown all over. Serve with rice and mango salsa on the side. 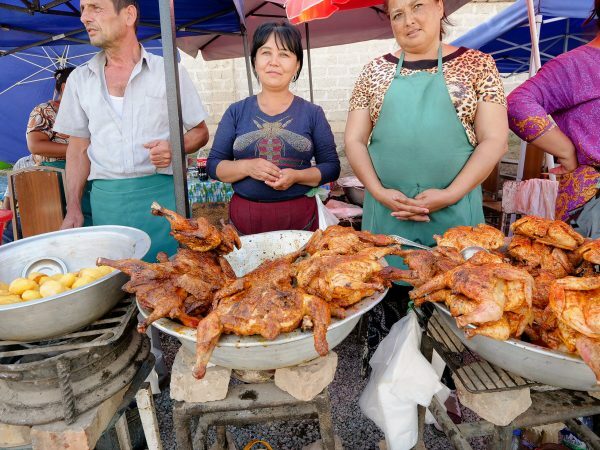 Becki Robins is attempting to cook one meal from every nation on Earth. You can follow her adventures at Travel by Stove. 10 comments. I'd love to hear from you! I tried both recipes and they were simply delicious and not too difficult to make. Wow these look absolutely delicious. I can’t wait to try these out for myself. Particularly the slow cooked duck and potato curry. It definitely has my tastebuds tingling. I think the kids will love it! 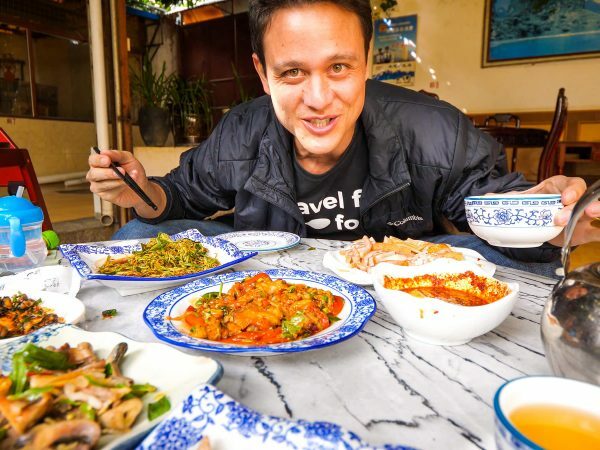 Cambodia is a lovely place to have great food and go through a culinary experience. Thanks for your post. I think it is very helpful post for everyone. mark: nice recipe. I will give it a try. Excellent, I know it will turn out delicious!